As 2015 comes to a close, Largemouth is celebrating another wonderful year of PR success. 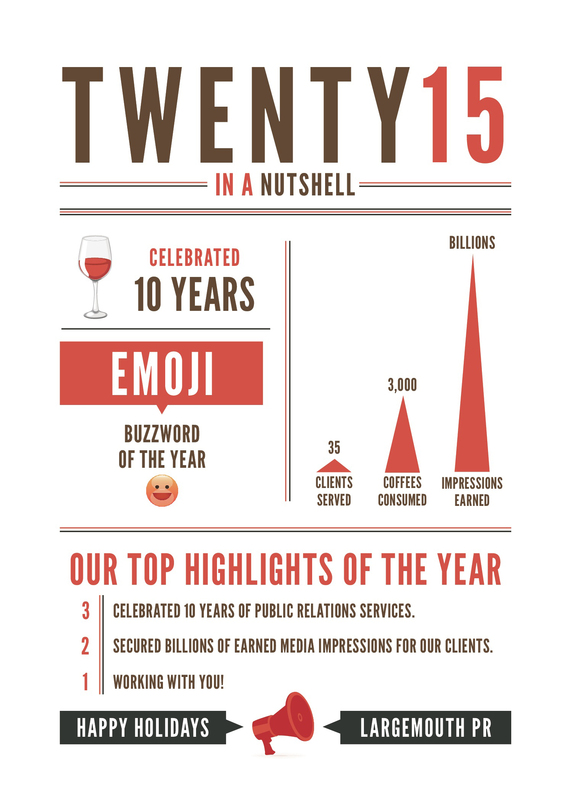 Check out the infographic below to see our top highlights of the year. We look forward to continuing great work for our clients in the New Year. From everyone here at Largemouth, we hope you all have very happy holidays!